The Trio the three legendary Cani. 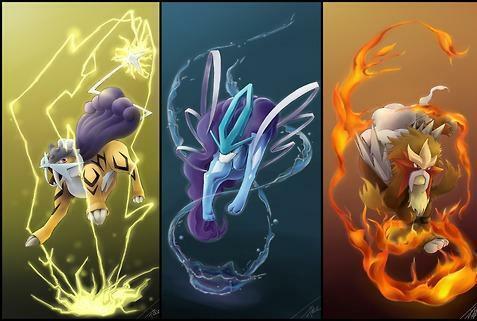 The dog trio Raikou,Entei,Suicune. Wallpaper and background images in the Pokémon leggendari club tagged: legendary pokemon dogs *woof woof*. ^thats only a theory, there is no proof if its true or not. There is a story about Ho-Oh doing that, but nobody knows if it's true .